Remember back in August how I announced I was going to reno my bathroom and then all I did was shop for tile one day and removed a towel bar? Yup. Only been five months in progress and I sure have got a lot done! The name I gave my blog makes a whole lot of sense now! So update: I have not forgotten the plan to renovate, I just have been ruminating/too lazy to go shopping for stuff. I have no idea where to begin with this and it is intimidating! It isn't just a vanity and tile...it is plumbing, grout choices, new trim, etc etc. How do you even cut trim in a condo? how do you even cut tile? I have NO idea! But I have decided who is going to be helping me tackle this and she is a pro (she does it for a living) so I think the two of us really need to sit down and make a list of what we need for material and tools and make a PLAN. Then I think I can actually wrap my mind around this! I have definitely made some decisions based on conversations with my dad about return on investment and saving my pennies for my forever-house renos. I am going to put in a new vanity and therefore I am probably going to redo the floor. The floor is very builder basic and I think it would be a smart update. I may decide to forgo the floor if I can get the right vanity solution (the floor choices and actual tiling terrify me). The vanity is the most important thing though because it is kind of cheap looking and the comparables in my neighbourhood have much nicer finishes (my condo was one of the first on the block and now newer, more modern ones have been built). The issue with the vanity is that it is custom built into an alcove and I am not confident putting a new vanity top on would be a smart idea because it would need to be custom and the base might not be built for the weight. Plus I need more storage in the bathroom. 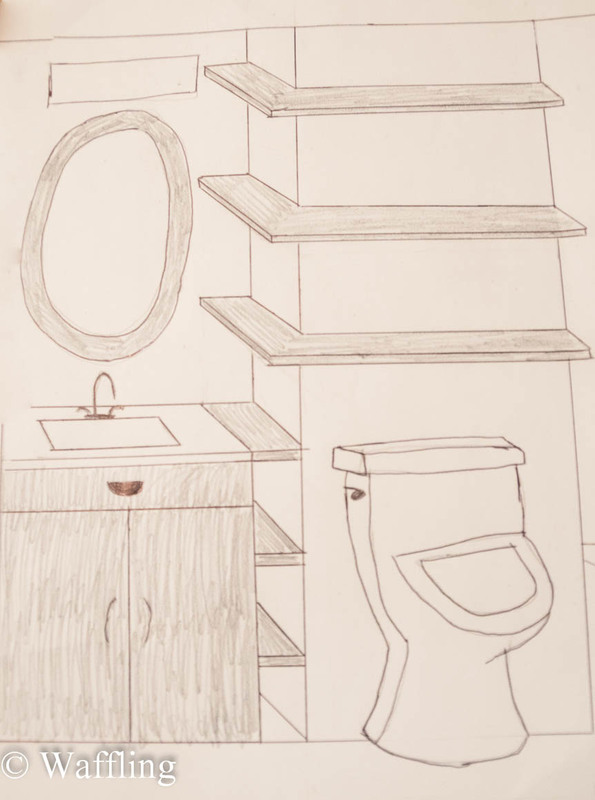 So I sketched out this idea of using a narrower vanity, but adding in some built in storage. Is this over the top complicated? Probably. 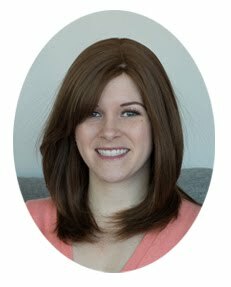 But I would love your opinions! Btw- does anyone else thing my sketch of a toilet looks like an angry duck?? You are a much braver woman than I, tackling the bathroom. I can't wait to see updates on this! I havent tackled anything yet!! You're not the only one shying away from a bathroom reno Casey! We've been talking about gutting our bathroom since the first showing of the house.. But have we done anything? Nope. As for your vanity, though it may be in an alcove, chances are that it's builder-grade & a standard width. Take some measurements, poke around and see what you can find. If you're lucky you'll be able to forgo a custom build (and save some $$). Nope. it is 33.5" wide so the width is custom and therefore the top would be too! I really like your design, but I'm a little worried that the shelves will make the sink area look and feel cramped. Do you really need that much open shelving in a bathroom - that's a lot of stuff to have on display. It looks like those little lower shelves are probably going to be a pain to keep dust free. I'm a lazy cleaner, so those deep shelves would drive me batty. Maybe keep the small upper shelves, and keep the vanity the full width of the nook so you have the same amount of hidden storage? I'm kinda excited to see what you do - I too dream of a full bathroom makeover. The issue I was trying to solve with the shelves is that the nook is 33.5" wide and I cannot get a vanity in there without going custom. The shelves on the vanity side might not actually be deep (maybe 4"?). Anything on the shelves would be in baskets to make it look neater. But I do see what youre saying about it looking crowded. My condo luckily doesnt collect much dust! I could wrap the counter around, but again, that would probably involve going custom to get a stone top. I love the sketch! And I think it would look really great, especially with some careful styling and organization skillz that I don't have! 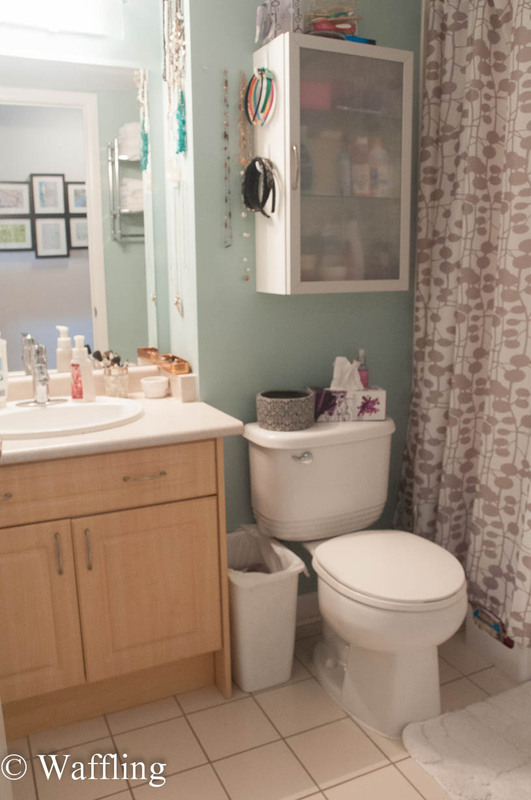 I think it's a great idea, but for the sake of giving you another one to consider... what if you got a vanity and just centered it in the space? No need for the shelves - except maybe some above the toilet! And it would look nice and spacious. Just another idea for you to throw out or add to your already huge collection of ideas, I'm sure! That was my original idea! I just started toying with this one last night and I wanted opinions! I have no second bathroom. and im pretty sure its against the condo rules to throw human waste of a balcony. hahaha. ew. Haha, I totally see the angry duck in the toilet sketch. Also the idea of actually tiling terrifies me too, even though everyone says it's so easy. I'm probably the worst person to give advice about a bathroom reno (ours is... rough), but have you considered retrofitting a dresser/nightstand as a vanity (sort of like YHL's old bathroom? On a semi-related note, you may be able to get a remnant of a solid surface counter from somewhere like solidsurface.com. You're welcome! That makes sense. I meant to mention that I have seen it done with a vessel sink, a surface-mount sink, and an under-mount. Here's a link from This Old House, if it helps. I think I'd still be nervous to try it myself. I think the vanity + shelves are a bit much for the alcove, and I agree that just centering a smaller vanity would look fine! Love the angry duck. Ya that seems to be the going opinion. Thats why having a blog is so handy!! id end up with hot pink popcorn texture walls otherwise!